deBebians carries a large collection of fine jewelry that is appropriate to be worn for any occasion. Our morganite ring collection, for example, offers rings that are perfect to be worn as promise rings, right hand rings, or engagement rings. I wanted to share a few of my favorite morganite ring designs that I would have loved to receive as a promise ring or pre-engagement ring. I selected classic, relatively inexpensive designs that she will be able to wear and enjoy for a lifetime. 1. 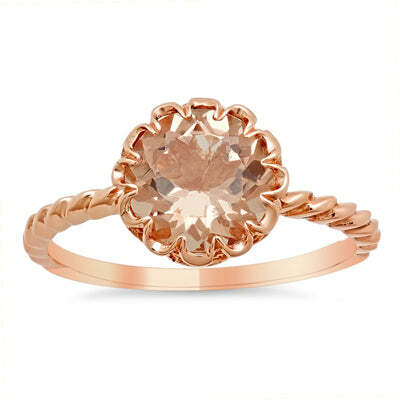 Floral Morganite Solitaire Engagement Ring This solitaire morganite ring features your choice of a 0.80 carat morganite or a 1.90 carat morganite. The decorative basket adds special touch to this timeless design. Choose white gold, rose gold, or platinum. 2. 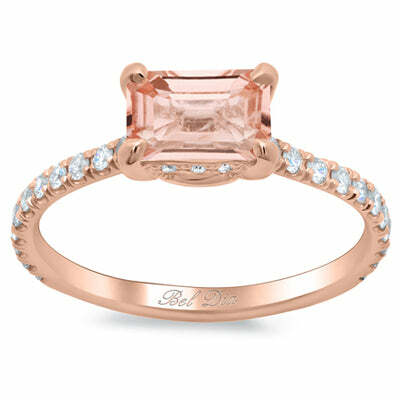 Tapered Emerald Cut Morganite Solitaire Engagement Ring A tapered band complements the elegance of a step cut sapphire gemstone wonderfully. 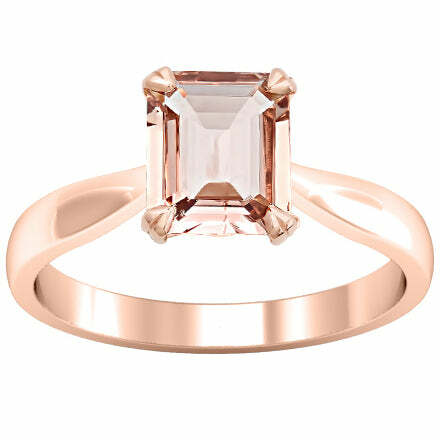 This ring is set with a 2.50 carat emerald cut morganite and the band at its widest measures 2.7mm. We use a AAA quality morganite that has a beautiful peachy pink hue. 3. Pave Diamond East-West Emerald Morganite Engagement Ring Lastly, we wanted to share this morganite ring with a modern twist. An east-west set emerald cut center stone will look beautiful worn alone or stacked with additional rings. The emerald cut stone weighs 2.50 carats, which is stunning when paired with the diamond accents on the band and basket.